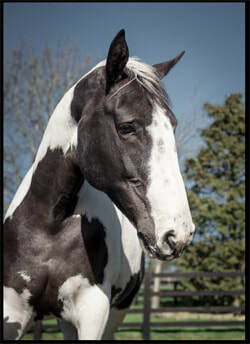 "I was concerned that commissioning a painting for someone of their beloved horse was fraught with pitfalls - not least that the end result may not be what I had envisaged. The process of commissioning a painting with Andrew could not have been easier, and most importantly the picture is quite simply, brilliant. 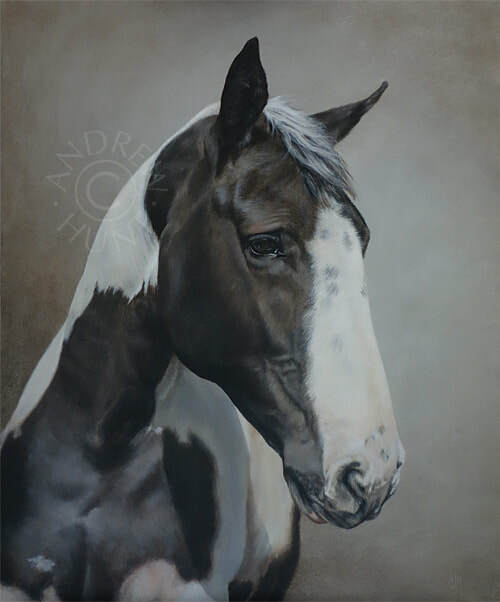 It has received compliments from everyone who has seen it, with any number of people commenting how it is so very definitely the horse that they all know, capturing the very essence of her"
As my client was frequently away on business (and lived at the other end of the country! 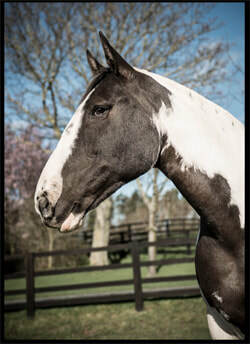 ), it was decided to utilise some photography of Betty that had been produced by a local equestrian photographer, who was very happy to provide me with good quality, high-resolution images. I created two alternative composition sketches for consideration, using the images below. As you can see from the finished painting, the angled shot was the preferred choice.